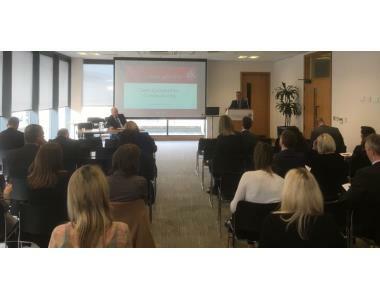 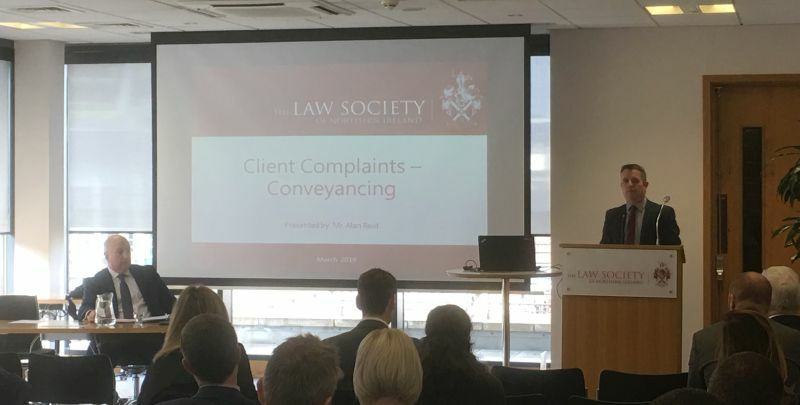 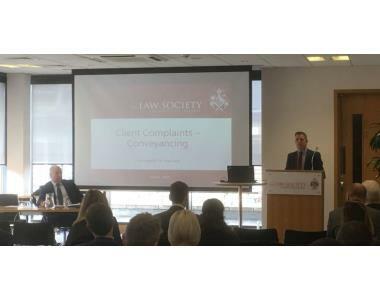 Over 50 solicitors were in attendance at the Managing Client Complaints Series: Managing Conveyancing Complaints seminar held at Law Society House in Belfast. 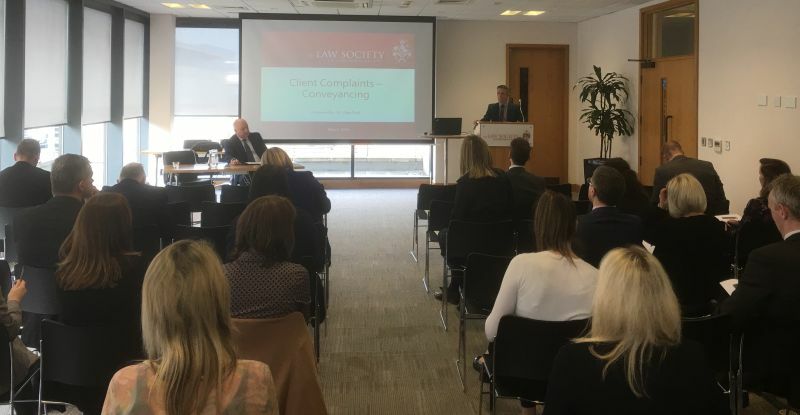 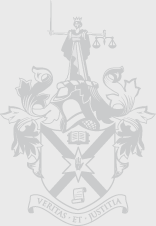 The focus of the seminar was to examine the issues which arise between solicitors and clients involved in conveyancing matters which are not conducted in an efficient and satisfactory way. 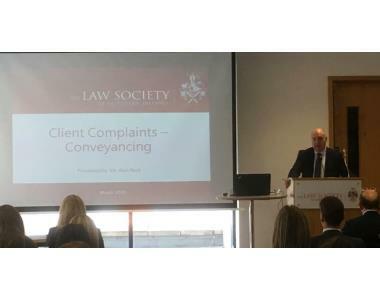 Attendees heard from Mr John Mackell, Head of Complaints at the Law Society and Mr Alan Reid, Council member and solicitor at Murlands on why it is important that solicitors deal with the situation efficiently and in accordance with the Solicitors (Client Communication) Regulations 2008. 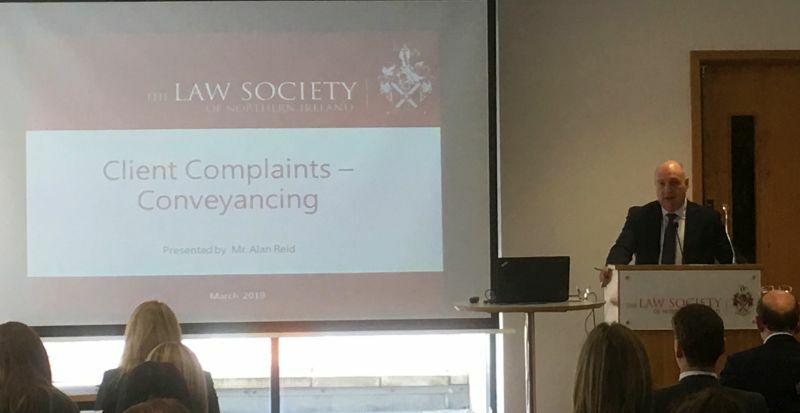 Today's seminar is a continuation of the Client Complaints Committee commitment to providing practical and instructional seminars on these important issues.